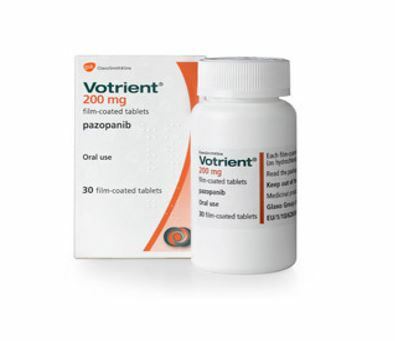 We have earned a sterling reputation in the industry for supplying and trading Votrient Tablets. The offered drug is administered to adults for the treatment of renal cell carcinoma. It is effective and is required in low dosage. Being formulated from high-grade inputs, it is free from contaminants and has a longer shelf life. Our range of drugs is wide and comprehensive for meeting the demands of clients.